 What is “Fan In A Box”? Have you ever experienced the pure joy that comes from cheering your favorite team from the sidelines as they win the big game? Or the anticipation of a long-awaited college graduation? It’s kind of like that… in a box. We are a team of designers building the dream gift for your organization’s biggest fans. Everyone is a fan of something – we want to help you reward yours. There’s not a simple answer to this one. Since all of our gift boxes are custom, we can scale any project to any size your organization needs. From dozens of employee appreciation gifts to thousands of season ticket gift packages, there is no budget or organization too big or too small. Let’s get the conversation started – Contact us! From start to finish, the entire production of your custom gift package can vary from a few weeks to a few months. It depends on the complexity of the project and order size. We’ll be honest with you about your timeline and will get your box delivered on time. Nope! We have an in-house design team, and we enjoy building the artwork from start to finish. We work with many organizations’ guidelines to make sure everything is on brand. We often work with other designers, too, and are happy to provide a template if you would like to design. We work with athletic organizations, universities, corporations, and everything in between. Get a better idea of what we do and who we work with by viewing our portfolio. Can I customize the products inside the box? Absolutely! We offer suggestions; however, we are able to include any college alumni gift item(s) or other fan or athlete gifts that will best fit your vision and goals. We can take care of it all – assembly, fulfillment and shipping. If you’d rather do it in house, we can ship all items unassembled to your desired location for assembly. Step 1: Give us a call. We’ll talk through your goals, budget, quantity and timeline. Step 2: Our team will put together a project estimate based on this conversation with recommendations, cost, and when your box can be delivered. Step 3: Once approved, our in-house design team dives right in. We turn your idea into a mock-up version for approval. Step 4: Production time! The box design and custom premium gifts go into production and the box is assembled. Step 5: Your boxes are delivered and are opened by your biggest fans. Give us a call! If we have a better understanding of what you’d like to accomplish and what budget you’d like to stay within, we can offer recommendations and suggestions. All we need to do is get the conversation started.